Thinking of buying gold? Here are some things you need to know about physical gold as an investment before you jump into the market. Many people have heard about the benefits of gold as an investment. The yellow metal is commonly referred to as a safe haven, and investors often use it to protect against inflation and as a safety measure in times of political unrest. For that reason, resource market watchers typically recommend that to build a diversified portfolio, traders should invest a portion of their wealth in bullion. What isn’t as clear is what is involved in building and managing a physical gold portfolio. Investing in physical gold is often oversimplified, and the misconceptions can begin with pricing. A spot price by definition is the cost of immediate delivery, and is a way to gauge how reasonable an ask or retail price is. A retail price is an amount that includes a mark up, or premium. Unfortunately, some investors only realize that spot prices are not what one pays for gold when they do their first purchase. In addition to premiums, there are numerous other expenses investors should be prepared to pay, including shipping, handling and insurance. There may also be processing fees or small lot fees for small purchases. In some instances, prices may be higher for individuals who choose to pay with a credit card. Then again, gold prices are sometimes lower for those purchasing larger quantities. Physical gold investors are generally looking for items that are 0.999 fine. Several products fit this description, and one of the most preferred is gold coins, such as the South African Krugerrand or the American Gold Eagle. Another option is gold rounds, which are similar to coins, but are not legal tender. Both gold coins and gold rounds come in various sizes, usually ranging from 1/10 ounce to 1 ounce, though other less common sizes are also available. Gold bars are also a popular option. They also come in a variety of sizes, and as choices can range from a 1-gram bar to 400-ounce bar, this category of products can accommodate a range of investors. When the objective is to the get the most metal for the least money, it’s generally best to shop for gold rounds and gold bars, which tend to be cheaper than gold coins of the same weight. The premium for gold coins is higher because of the credibility that they receive from being fabricated by government mints and because of the design detail on them. Another factor that may need to be considered is the amount to be invested. Large investments may be best made in bars since larger sizes are available. Further, it is often easier to manage large products than it is to manage an array of smaller gold items. However, physical investors need to also give forethought to occasions when they may want to sell their gold. Large products will require liquidating a larger portion of one’s gold portfolio, and such products may be more difficult to sell in some instances. Individuals making ongoing or significant investments may therefore want to consider purchasing gold in various weights. Physical gold can be purchased from government mints, private mints, precious metals dealers and even jewelry stores. Before making a purchase, investors should remember to be careful to avoid numismatic coins or other gold items geared toward collecting and gift giving. These products are for play in a different ball game and are not what the average gold investor needs. When choosing where to buy gold it is again best to give thought to reselling it. Some businesses that sell gold will also buy it back. Some will even buy gold that they didn’t sell, but may pay lower prices for it than for items they sold. Furthermore, premiums and fees are not one size fits all. Different sellers may offer the same items at different prices, so investors should take the necessary time to find the best deal. A futures contract is an agreement to buy or sell gold on a date in the future for a price that is determined when the contract is initiated. The futures market is often referred to as an arena for paper trading. Generally, the bulk of the activity is just that as metal is not actually exchanged and settlements are made in cash. However, the futures market can also be an arena for purchasing physical gold. That is not to suggest that it is the best source of metal for all investors. Obtaining gold through the futures market requires a large investment and involves a list of additional costs. The process can be complicated, cumbersome and lengthy, which is why this option is considered best for highly experienced market participants. You can learn more about gold futures here. Investors should clearly understand that investing in gold exposure is not the same as purchasing physical metal. The popularity of ETFs underscores how easily people can begin with one objective and end up heavily invested in products of a different nature. Gold ETFs provide exposure to metals prices by offering investors the opportunity to purchase shares that represent a quantity of gold. Neither that nor the fact that an ETF is physically backed brings an individual any closer to gold ownership. A gold ETF is not a vehicle to acquire gold. There are, however, some programs designed to allow investors to build gold portfolios without requiring that they take possession of the metal or arrange for its storage and protection. Before investing in such a program, investors should become very familiar with the terms. For one thing, it is important to ensure that participants are indeed allowed to take possession of their metal. Since it is not uncommon for the rules to include withdrawal minimums, investors should make sure they are comfortable with any such requirements. Other important details to pay attention to are the cited risks and costs as well as the circumstances under which the gold is kept and the process for confirming its existence and taking possession of the metal. Determining the best storage option involves weighing risks against costs. Paying for secure storage eats into profits from the metal’s gains, so some people choose to store their gold at home or in their office. In theory, that is the riskiest option as it involves the highest potential for loss due to theft or disaster. But in many instances these risks are not substantial enough to justify the cost of other storage options. Investors who have significant quantities of gold or whose circumstances involve elevated security risks should consider securing the metal in a depository or safe deposit box. Investors who do so should note that rates vary, so bargain hunting can pay off. Another thing to note is that some banks do not technically permit the storage of bullion, and this is listed in the terms and agreements that customers are required to sign. Also, not all security boxes are insured, so that is another factor to consider when selecting a banking institution for a safety deposit box. Just as buying gold often provides investors with a pricing wakeup call, investors who decide to sell their gold are also sometimes surprised at the prices they receive. That is because the buyback price, or bid, is lower than the asking price. The difference between the two is referred to as the spread, and it is a loss that the seller initially bears. For example, if an investor pays $1,733 for a 1-ounce Canadian Maple Leaf and decides to sell it back the same day, the buying price may only be $1,693. Furthermore, there are usually other costs involved with selling gold, including shipping, insurance and liquidation fees. Some businesses have minimum purchase requirements, and depending upon payment arrangements, it may be necessary for the investor to pay bank wire fees or postage to receive a check. Individuals who want to sell their gold quickly may consider “we buy gold” businesses as a convenient alternative. While these businesses can serve as a quick source of liquidity, they are usually not the best option. Generally, their underlying business strategy involves making lower-than-average offers. The reality is that given the spread and the costs associated with acquiring and selling gold, a sharp price move is generally needed to turn a profit. 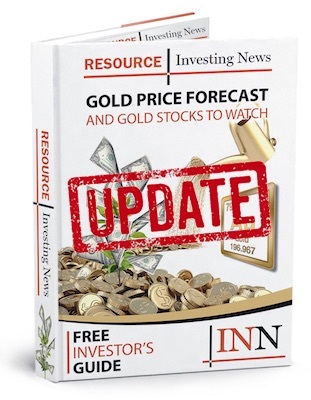 Investors are encouraged to consider building positions in physical gold as a long-term investment. Would you buy gold as an investment? Is it part of your retirement savings? UK residents should consider sovereigns as they are CGT free.